What Becher and Stahl observed was that many objects burned readily in air. The substances left behind by that burning were not flammable themselves. Ash leftover from a campfire, for example, can't be reignited. When metals burn, a solid and sometimes brightly colored substance is left behind with completely different properties than the original metal. At the time, the leftover substance was called a calx. Interestingly, Becher and Stahl observed that when flammable objects were burned in a closed container, they burned incompletely and the flames eventually guttered out. If the air from that container was reserved and a new flammable object was inserted, a new fire couldn't be started. These observations form the basis of phlogiston theory. Flammable materials and metals are said to be rich in phlogiston, a fundamental element that conferred the properties of fire onto a substance. When a phlogisticated substance is burned in ordinary air, the phlogiston gets released and absorbed by the surrounding air, leaving behind ash or calx that has spent all of its phlogiston and can not therefore be reignited. The theory explains the closed contained observation by postulating that the air can only absorb so much phlogiston, at which point it is fully phlogisticated and can support no more combustion. A cartoon of metals before and after burning, according to phlogiston theory. Stahl popularized phlogiston theory and it became the dominant paradigm for explaining combustion in alchemical circles. Phlogiston was associated with the matter of heat and light - a physical stubstance that was transferred whenever and wherever heat or light were transferred. However, there was a small problem: nobody could agree on whether phlogiston had mass. Some measurements showed phlogiston to have mass, and others showed it to have no mass or even negative mass. How could a substance have negative mass? It is here that a somewhat underappreciated tool-driven revolution comes in. When phlogiston theory was first proposed, the vessels used to house closed container combustion reactions were not very sophisticated. They allowed gases to escape, and if those gases were lighter than air their mass would not be detected by a balance. The gas exchange would have made determining the mass of phlogiston impossible even if it had been the correct explanation for observed phenomena. In the 100 years or so between the time that phlogiston theory hit the scene and Antoine Lavoisier came around, the apparatus used to make (al)chemical measurements improved in accuracy and precision. Specifically, specially-sealed gas-tight vessels were invented. Antoine Lavoisier, a French chemist active in the late 1700s, is hailed as a founding father of modern chemistry. 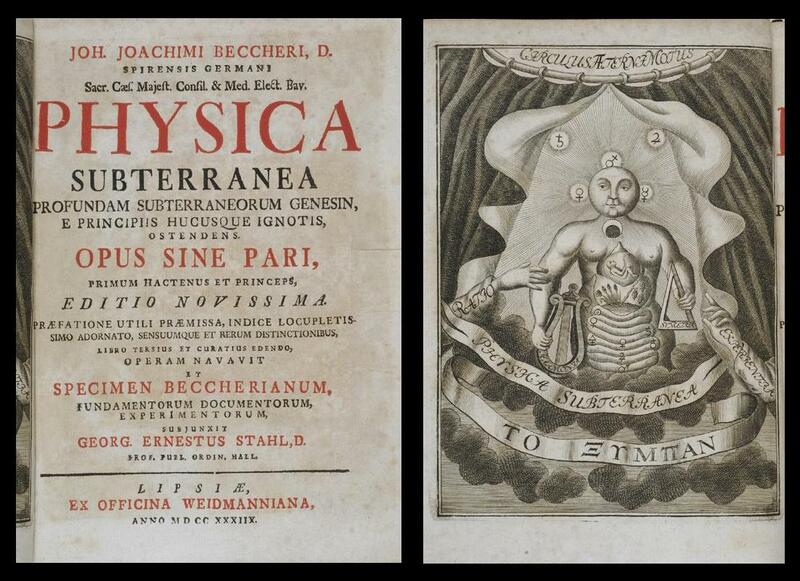 Using hermetically sealed vessels and improved balances, he was able to observe two things that really threw a wrench into phlogiston theory. First of all, when metals are burned, the mass of the metal plus the calx is actually more than the metal itself. Secondly, when metals are burned in a sealed vessel, the mass of the vessel plus all of its contents remains unchanged. These two observations require that phlogiston has negative mass, so the mass of the metal calx increases when the phlogiston leaves. Additionally, there was the problem of charcoal. It was well known that a metal calx, when exposed to charcoal at high temperatures, would "revivify" and reform the surface of the original metal. According to phlogiston theory, phlogiston had been transferred from the charcoal back to the metal. So far so good - since the metal weighs less than the metal plus its calx, it makes sense that it absorbed the negative-mass phlogiston. However, Lavoisier performed an experiment in which he burned charcoal in a closed container all by itself. The charcoal burns completely and the mass of the container is left unchanged, just as in the case of the metal. But, when Lavoisier measured the density of the air inside the container, he found that it had increased after the charcoal was burned. Some material with a positive mass had united with the air to increase its density. How was that possible if phlogiston, which was known to be present in great quantity in charcoal, had a negative mass? Lavoisier showed numerous other inconsistencies in phlogiston theory that centered around the question of mass. Essentially, no formulation of phlogiston theory could justify a phlogiston that was sometimes massless, sometimes had positive mass, and sometimes had negative mass. Instead, Lavoisier posited the existence of oxygen - a positive-mass substance that exists in air, is depleted by combustion reactions, can combine with metals to form calces (metal oxides), and reacts with charcoal to make "fixed air," or carbon dioxide. Oxygen works in many ways as phlogiston's opposite. Lavoisier presented his findings to the Royal Academy of Sciences in the 1770s and 1780s, systematically breaking down the entrenched phlogiston theory in favor of his new, more rigorous, less magical ideas. The language of his essays is often impassioned. For example, in Reflections on phlogiston, he says of phlogiston theory, "In this essay, I beg of my readers to shed themselves of all prejudices as far as possible, to see in the facts only what they show, to banish all that reasoning has assumed, to transport themselves to a time before Stahl and to forget for a moment that his theory ever existed, if that is possible. "* Additionally, Lavoisier talks about the differences in taste of metals compared to their calces, which will make any practicing scientist cringe - this work is from a time when literally lighting a block of lead on fire and eating the result was a commonplace experiment. Lavoisier went on to become one of the most celebrated names in the history of chemistry, and, of course, we kept the principle of oxygen and still use it to describe the world today. 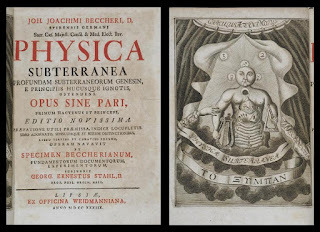 Becher, Stahl, and the others who were instrumental in advancing phlogiston theory were buried in history books along with the theory itself (although Joseph Priestley is still connected with the discovery of oxygen, and others, like Antoine Baumé, became famous for other discoveries). It's tempting to laugh at phlogiston theory as a relic of a less informed time, but to do so is disingenuous. Scientists and the science they produce are products of their time, and discoveries should always be understood in that context. Although phlogiston theory turned out to be incorrect, it did represent some of the first exploration of what air is actually made of. In trying to learn more about phlogiston, early scientists discovered dephlogisticated or "vital air," which was supercharged air capable of absorbing lots of phlogiston (which we now know to be oxygen-enriched air). Vital air was so named because of its ability to promote respiration in animals. In that way, phlogiston theory led scientists to link the processes of combustion (burning carbonaceous materials), calcination (burning metals), and respiration - if all were promoted by vital air, then they must at least be related. Today, we know that respiration and combustion, both of metals and organic matter, are oxidations that release energy by consuming some fuel and combining it with oxygen. Does that mean you should start wearing a wizard hat to lab and adjusting your yields for the phase of the moon? Well, I suppose you'll have to take that up with your supervisor. *Translated from French: Best, N. W. Foundations of Chemistry 2015, 17, 137-151. If you're on the right side of the paywall, I highly, highly recommend reading this article. It was so fascinating for me to get a taste of what chemistry was like that long ago! What a good, informative narrative! Amazing piece of information, you have provided in your article. I think you should share this information on different educational platforms like Qanda etc etc.